Academics at the University of Plymouth have published a paper detailing the historical importance of the city’s waters and their continuing impact on science, travel and ecology. Dr Antony Knights, Lecturer in Marine Ecology and lead author, described Plymouth as a ‘hub for marine and maritime science’ in his joint paper Plymouth – A World Harbour through the ages. The study details how the city has successfully balanced marine research, wildlife sustainability and human use of the harbour as it has changed over time. The long history of marine research in Plymouth, associated with the Marine Biological Association (MBA), the University and Plymouth Marine Laboratory (PML), has led to over 8400 species of marine life being described – which is nearly three times as many as in other large harbours such as Sydney Harbour, Australia and the Ria de Vigo, Spain. The paper adds that the geographical location of Plymouth and its waters enables it to house a number of rare or unusual species for the UK, several of which are at the edge or near the edge of their geographic ranges. Dr Knights went on to explain the rich shipping, naval and tourism industries made possible by the city’s location and how, since the Bronze Age (~2500-800 BC), the area has been exploited for its natural resources. Millbay Dock has, over the years, been a commercial dock, coaling station, shipbuilding yard and point of embarkation for ocean-going liners, while Her Majesty’s Naval Base in Devonport is the largest naval base in Western Europe. Dr Knights and his colleagues concluded by saying that although traffic through the waters has increased, the environmental awareness has remained high, including internationally leading studies on contamination of the marine environment, especially from microplastics, and their presence in the surface waters and on the shorelines of the River Tamar. 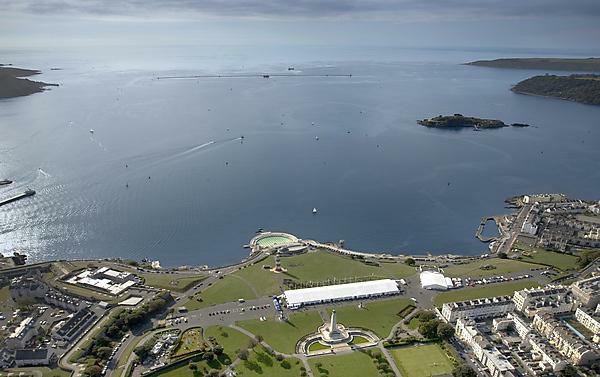 The study appears in the journal Regional Studies in Marine Science, and Dr Knights said he and his colleagues wanted to explore how Plymouth came to be home to such a wide variety of water activity as part of the international collaborative World Harbour Project. “Plymouth is renowned for its maritime activity, but I wanted to explore just how important the harbour has been throughout the city’s history,” he said. "It is a fascinating journey through time and fantastic that so many species, water activities and commercial opportunities are able to co-exist in this environment. We are also very lucky in Plymouth to have a great deal of marine research taking place, not only at the University but at PML, MBA and other world-renowned organisations which are based in the city. Do you want to become a professional seafarer where you are an officer in charge of ships or to work in the shore side maritime sector? Whatever your aspirations, we’ll make sure you get all the academic support you need to succeed.